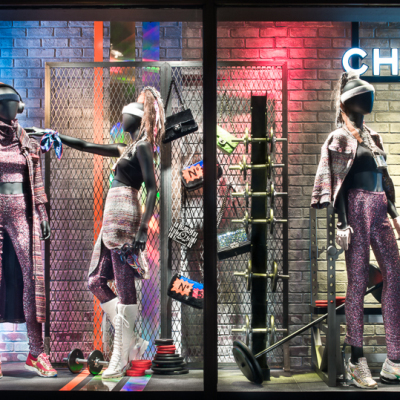 Bergdorf Goodman created Chanel Boxing Gym window displays introducing the Fall/Winter 2014/15 collection. 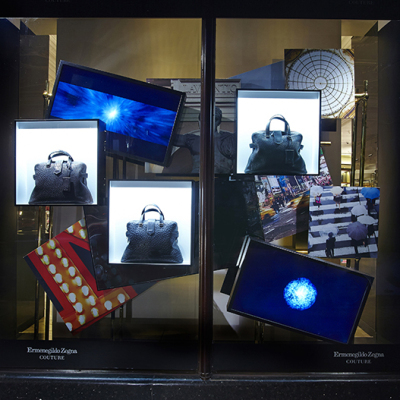 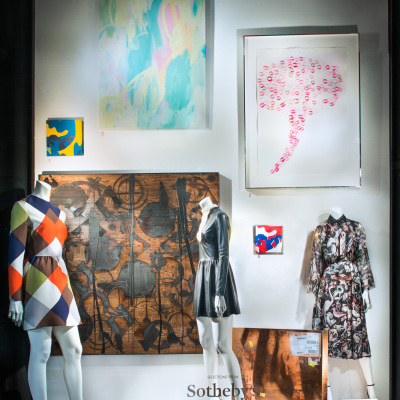 Bergdorf Goodman celebrates the close relationship between art and fashion, where the windows feature an extraordinary selection from the Sotheby’s Contemporary Art Day Auction. 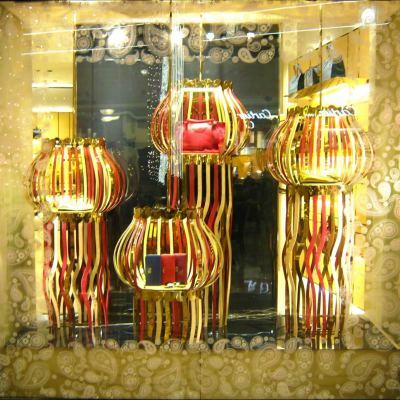 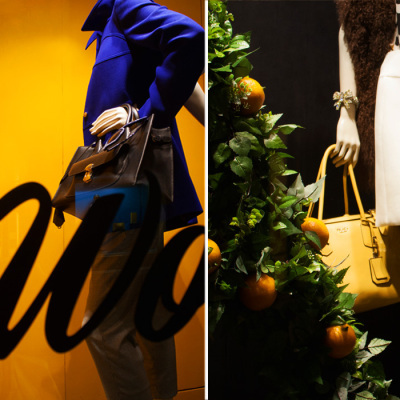 Holt Renfrew visual team were inspired by art forms, from impressionist to contemporary for the Fall window display. 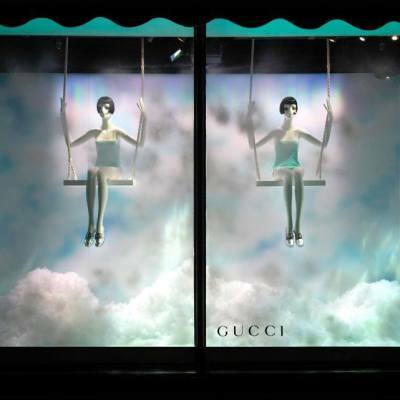 Harrods created the woman’s dream window display ‘Shoe Heaven’, displaying different type of shoes in the colour silver. 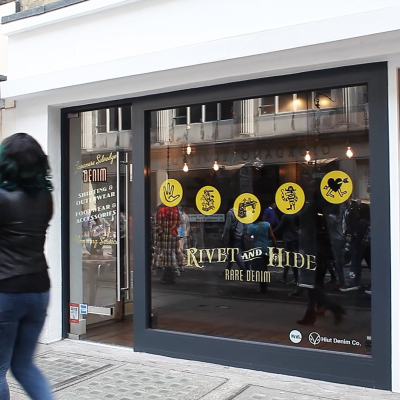 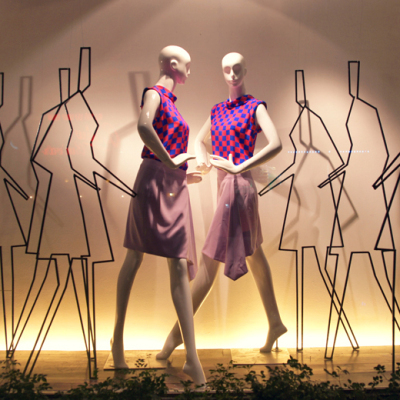 Liberty London celebrate London Fashion Week with their September fall windows, featuring the latest arrivals in fashion and accessories from some of their best-loved designers. 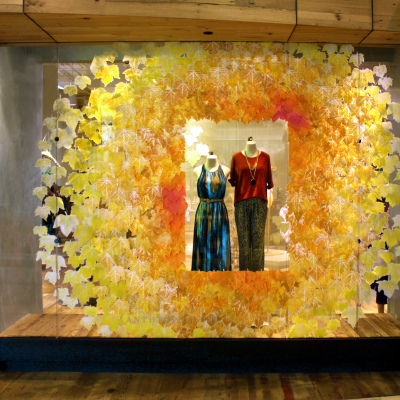 Anthropologie bring us in the autumn mood with beautiful colored leaves in their fall window displays. 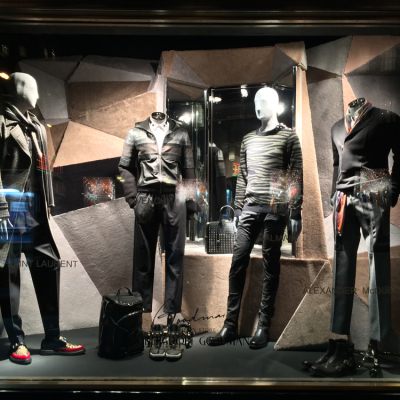 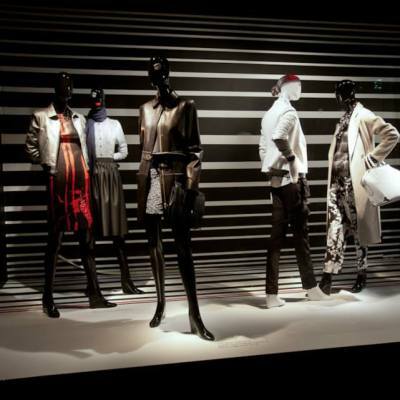 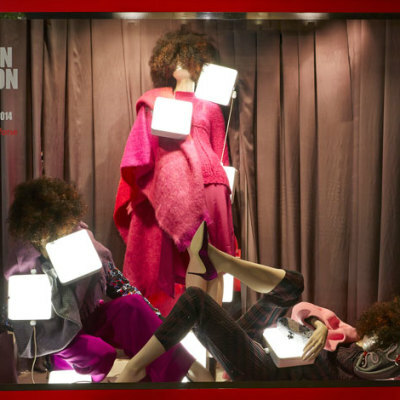 Bergdorf Goodman first fall window displays are inspired by abstract fitting rooms that morph and move.